It’s the end of another successful year. And another successful ATESOL ACT Annual Dinner! Thanks to all who came along on the night, and an extra big thank you to all the hard working Committee members who helped bring it off. Our guest speaker this year was Yvette Berry MLA, Minister for Multicultural Affairs, Minister for Housing, Minister for Aboriginal and Torres Strait Islander Affairs, Minister for Community Services, Minister for Women and Minister assisting the Chief Minister on Social Inclusion and Equality. The Minister reminded us all how important it is to welcome migrants and refugees in the community by being a friend. She also shared her own experience of witnessing the value of the old workplace language and literacy program (WELL), and welcomed questions and comments from our members about other topics of interest. We again raised enough money to sponsor 14 Cambodian provincial teachers to attend CamTESOL in 2016. I think everyone dug deeper in their pockets after hearing from our special guest Mongkul Tep, Dean of the Faculty of Arts, Humanities and Languages at Western University in Phnom Penh, currently studying TESOL at the University of Canberra. He spoke about how the money we have raised in the past has helped people like him attend the CamTESOL conference, and how meaningful the sponsorship is to teachers from provincial areas. (Mongkul Tep is from – the remotest part of Cambodia, Ratanakiri Province!). Thanks to all who donated. Finally, congratulations to Jennifer Mayers and Lesley Cioccarelli for winning the inaugural ATESOL ACT sponsorship to the ACTA/ACAL 2016 Conference in Perth. Jennifer should have laid a bet on this result as she had dreamt about it! Scaffolding Literacy is an integrated reading and writing pedagogy that uses authentic literature to teach literacy and language skills. Several Scaffolding Literacy practitioners shared their practice from ACT classrooms, and lead discussions about working with the Scaffolding Literacy pedagogy. On Halloween morning, a dedicated group of teachers gathered at the Hughes Primary School Hall to participate in an offering of six different workshops centred around this integrated reading and writing pedagogy. Laurel Rodrigues and Fern Hyde welcomed us all with an introduction to the fundamentals of Scaffolding Literacy. The importance of following the sequence was emphasized and many examples were given to demonstrate the effectiveness of this high support inclusive pedagogy as part of a high challenge curriculum. The sequence is as suitable for adult learners as it is for children and is great for its ability to differentiate for all learners. Bec Smith spoke to us about the Word Study stage of the sequence. Her highly informative presentation was jam packed full of examples from her own teaching context and she very generously shared many resource tips and ideas. Bec stressed the importance of teaching in context with high quality texts. We learnt how to use six different knowledges about words and spelling in our Word Study; semantic, visual, morphological, etymological, orthographic and phonological. Rosemary Radford then led us in a session focused on the Transformations stage of the Scaffolding Literacy sequence. Rosemary demonstrated a practical lesson using props, giving many teachers plenty of ideas to take back to their classrooms on Monday morning. Rosemary shared her enjoyment of the practice for its explicitness, its ease of planning in a set structure, its evident high level of engagement by students and its opportunity for creativity. Finally, Maggie Quigley took us on a journey through Language Orientations and Patterned Writing. We all took part in her demonstration lesson, involving cutting up sentence strips and carefully analysing her sample paragraph. 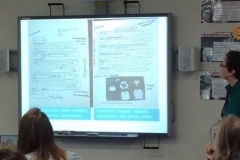 Maggie shared a particularly useful, practical tip – when selecting texts, make sure that it contains some good examples which you can use for patterned writing and try them out yourself, before you let them loose on students! Jennifer Mayers, ATESOL ACT president for 2015, closed this fabulous PD session with a reminder that this whole practice of Scaffolding Literacy is heavily research based. Links to some videos that Megan spoke about in her workshop, of Misty Adoniou talking about teaching language and demonstrating some parts of the sequence at a PD event for the National Association for Language Development in the Curriculum (NALDIC). In Part 1 of this workshop, Misty Adoniou, distinguishes between language and literacy and why EAL learners benefit more from a focus on the former than the latter. In Part 2 of this workshop, Misty Adoniou retells the children’s story ‘Fox’ by Margaret Wilding, showing how real books can be the best foundation for real literacy work with EAL learners. 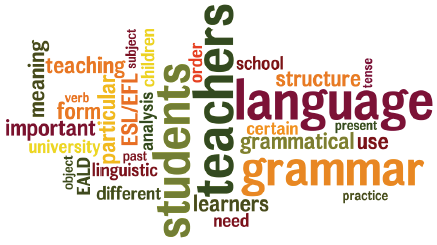 In Part 3 of the workshop, Misty Adoniou and a group of EAL teachers explore an author’s linguistic choices and show that reading good literature is a better way to understand grammar than doing literacy exercises. You can use this space to share ideas, lessons and generally support each other as you implement lessons from the Scaffolding Literacy sequence. This is the textbook used at University of Canberra. If you’d peeped into the Hughes Primary School Hall on Saturday morning, you’d have been forgiven for wondering why a group of teachers were seemingly flowing through Tai Chi exercises whilst simultaneously tapping tennis balls on their right shoulders and bending forwards. What had this to do with language learning? It was all part of a fast-paced, hands-on workshop led by Michael Burri from the University of Wollongong on Haptic Pronunciation techniques. Michael dived straight in with an introduction to prosody and had us all analysing our speech for thought groups and prominence. These are two essential elements for pronunciation teaching and led us to our first exercise – the butterfly position. Michael demonstrated how tapping our shoulders with the tennis ball on the prominent words in a sentence can help speakers with stress, fluency and conversational rhythm. Michael then led us through a short history of EHIEP (Essential Haptic-integrated English Pronunciation) from the Accent Reduction of the 1980s through to contemporary video and cloud-based technologies. But there was no time to rest! We soon moved on to the Rhythm Fight Club. This time, the School Hall was filled with teachers punching in front of them and using short jabs forward and away from the body! This kinaesthetic approach certainly had everyone engaged and we could clearly see how valuable these pedagogical movement patterns could be, particularly with learners so concerned to “get it all right” that they lose the conversational flow. We explored the teaching of intonation with more hands-on exercises before moving to the diagnosis of learners’ speech. Techniques for enhancing intelligibility were discussed and most teachers left the event with concrete ideas for Monday’s lessons! Michael raised some thought provoking questions too. Is there better retention of new vocabulary if pronunciation is emphasised? Is there a way to incorporate the sense of smell into Haptic Pronunciation Techniques?! All in all, Michael presented a hugely successful event on an often neglected area of language learning. Michael Burri is a PhD candidate in the School of Education at the University of Wollongong. 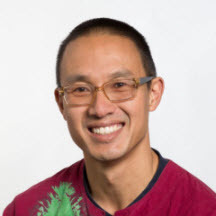 He was born in the US, grew up in Switzerland, and has lived, taught and conducted research in a variety of contexts in New Zealand, Japan, Canada and Australia. Michael has presented on pronunciation instruction at national and international conferences. Vocaroo, the online voice recorder Mike recommended for getting students to send you a recording – quick and easy! Mike Burri’s own website has lots of useful Resources links. And look under the Publications and Presentations tabs for more useful reading! 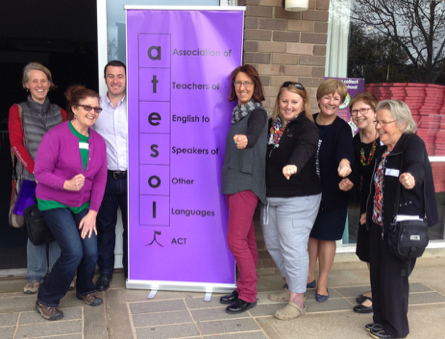 We also unveiled our gorgeous new ATESOL ACT banners at the event. ATESOL ACT often get asked to take part in careers fairs and other events, and we realised we needed something to announce our presence. So, if you see our big purple logo around town, please come and say hello! Some of our ATESOL ACT Committee members who organised this fabulous PD practicing their Haptic Pronunciation techniques with our presenter Mike Burri. On Thursday the 14th of May we were very fortunate to have had the experience to participate in a special tour of the Portrait Gallery. The aim of the tour was to open our eyes to what the gallery could offer English language learners through the use of the space and exhibits. It was really wonderful to gather with other professionals from different sectors and see how such a great resource could be adapted to suit our respective target audiences. We were guided to consider portraits as a rich source of learning about Australian historical and literary figures and as source, record and narrative. The message is that we should be all taking advantage of this free resource while it is still available! If transport is an issue, they can come to you and even offer a livestreaming service! What more could you ask for? After the dinner, several members attended the CIT Restaurant in Reid to continue our professional discussions and enjoy a delicious three course meal. * Did you know that there is a National Capital Teacher Pass which provides free access (and/or other offers) to the attractions in Canberra giving you time to explore the opportunities available for planning a school excursion in Canberra? Find out more on our Places & Events that may interest you & your students page. 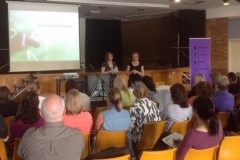 There was a buzz of excitement as people filled the Hughes Primary School hall early on Saturday morning, eager to participate in Margery Hertzberg’s workshop on why oracy is critical for improving inferential comprehension. Margery had us thinking about the difference between literal and interpretive/inferential questioning, and at which points of the teaching sequence that we should include oral language activities (at all points!). Margery explained how communicative activities can be used when introducing topics and concepts, to discuss developing understandings, and when assessing content knowledge. The communicative crosswords activity is an excellent example of how single-personal activity (a crossword) can be modified to become a rich language experience that requires content knowledge, topic specific vocabulary and is dependant on oral communication. Margery provided compelling evidence to show why home language use is beneficial in the classroom, and the importance around carefully selecting partners for group and pair work. I’m sure many people will be referring to Margery’s evidence to explain their use of friendship grouping for class activities, rather than ability level grouping or splitting up friends for work time. The scaffolding cycle was explored, with explanations and reasoning around building content knowledge through teacher preparation, getting ready for and into the text, and coming back to the text. The use of margin prompts was a particularly interesting point, and made explicit the process of modelling comprehension strategies. The role of drama was a highlight in the workshop as a way to develop comprehension. We really got into the drama activities and opened up the text in a way that made deep connections. Margery’s tips on how to make drama successful were noted down eagerly. 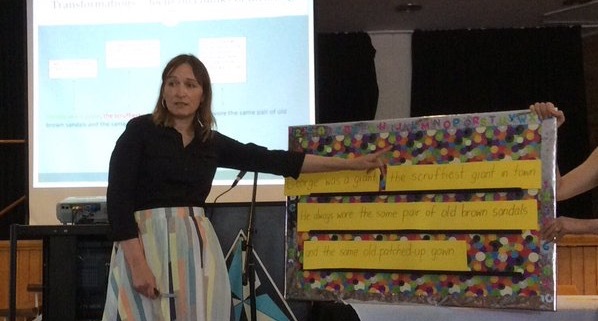 The richness of authentic texts as a teaching resource was emphasised throughout the workshop, and I’m sure many people will be rushing out to buy Marianthe’s story: painted words, spoken memories by Aliki to use in their teaching. I left the workshop with ways to modify my current practice, and new techniques and activities that I am keen to try with my students. An absolute success for professional learning workshop in my opinion! 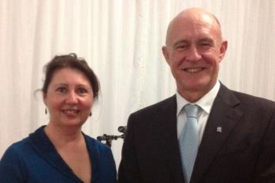 Our Annual Dinner was again held at Canberra Yacht Club. 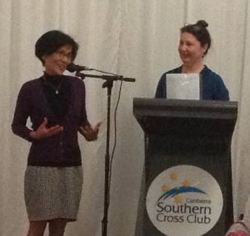 Our guest speaker was Dr Kim Huynh who is a local, a lecturer at ANU, and was a child migrant who came to Australia fleeing Vietnam in the 70s. It seems that we’ve given Kim a promotion in our promotion of this event, as we listed him as a professor, when he is in fact “a ‘lecturer’. I’m not fussed whether you fix it though, as far as I can see the only difference is that the former does more admin.” Since he has received an ANU Vice Chancellor’s Award for Excellence in Teaching, it might be too long before he’s doing that extra paperwork. Kim’s teaching and research interests include forced migration, political philosophy, political fiction and international relations, political theory, women’s studies, children and global conflict, and ethnology. 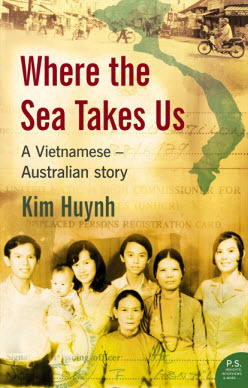 I’d encourage you to purchase a copy of his book, Where The Sea Takes Us, which tells the story of his family’s journey to and settlement in Australia. I understand he wrote it as part of his PhD study and has been nominated for awards. The book is now only available as print-on-demand. Kim told me that he still gets his royalty for the book, but he passes it on to MSF Doctors Without Borders, so two good reasons to buy a copy! You can probably order it online, but if you order a copy through Asia Bookroom in Macquarie, you can support a local bookshop at the same time. Kim obviously knows the power of a good title, as I noted a chapter he wrote titled: ”If there is hope, it lies with the Bogans”, in a book he co-edited, The Culture Wars: Australian and American Politics in the 21st Century. I also noted from his bio on ANU website that he is working on another book titled: Vietnam as if…. Tales of youth, love and destiny so I’ll be looking out for that! Kim’s talk was on Eastern & Western World Views: Which one is better? As well as plenty to think about, he provided the audience with handouts, in lieu of projection facilities at the venue – Kim’s handout attached. Given the number of questions from the audience after the talk, this is possibly a topic we could continue into the future. Teachers and tutors are often asked what language programs and other support and services are available for English language learners, both adults and children. To help us with this, we heard from representatives of community groups, and teachers from schools and programs for adult migrants, refugees and International students. They talked about their programs and assistance for adults and children who are learning English as additional language or dialect. This session was also an excellent opportunity to network with others who are also working with English language learners – many new connections were made! Many thanks to all those who came along to share information, and also to the participants for your questions and additonal information. Here are quick links to the programs and services discussed, or download a PDF summary with more detail. In this lively and noisy PD event, Dr Carol Hayes and Dr Yuki Itani-Adams from ANU demonstrated a method of better engaging students in their language production through the use of digital storytelling (with examples from ANU’s intermediate Japanese language classes). They encouraged us to reflect on what makes a good “impactful” story and how image can enhance voice, and clearly illustrated how digital stories — with their cool combination of narrative, image and sound — provide a powerful way of developing student communicative skills. They unpicked some sample story narratives and discussed how students can use the DS mode to express their emotions, beliefs and thoughts, and also explained how they use DS for assessment. In the hands-on session using iPads and the Explain Everything app, the 30+ teachers, from primary to the adult sector, created their own digital stories using simple storyboarding techniques and a lot of humour! It was terrific to have members from the Modern Language Teachers’ Association of the ACT (MLTA ACT) join us for this session. We hope it is the first of many shared PD events. Are you a mainstream teacher teaching EAL/D or ESL students? Are you an EAL/D or ESL specialist in the school or TAFE/VET system developing classroom teachers’ capacity to support their EAL/D or ESL learners? 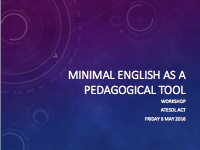 Then this ATESOL workshop was for you! Denise Angelo, Visiting Fellow at ANU and Manager, Languages Perspectives, Indigenous Schooling Support Unit, Education Queensland, examined the current educational challenges experienced by mainstream classroom teachers supporting EAL/D learners. 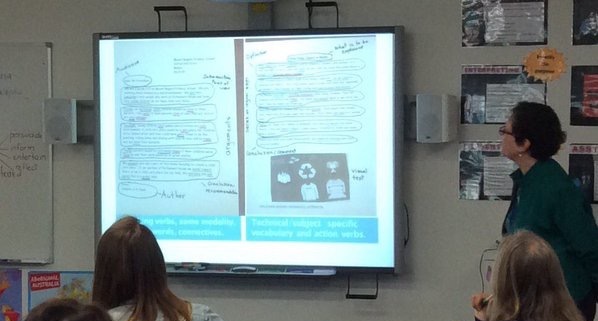 She also provided practical suggestions of ways to build these teachers’ capacity and confidence to include language teaching in their repertoires, including front ended assessment and the spiral curriculum approach for recycling language. We will add a summary report of the session here soon (if you would like to write one, please contact Lesley via info (at) atesolact.org.au). Sharon Duff and Carmel Davies of Urban Lyrebirds shared their expertise in using song to enhance English learning skills at all levels. the why: Singing helps with pronunciation, memory, literacy and grammar. It can be a way to share culture and develop community. And it is fun! the what: We were introduced to a range of warm up exercises and classroom activities, along with their own fabulous original songs. the how: We learnt how to write our own songs to develop a range of language skills. Each group penned and performed some amazingly creative songs. After the main session (and some delicious morning tea), we had a ‘show and tell’ session where many participants shared a favourite lesson, idea or tip for using songs in class. Some even sang their contribution! We have created a collaborative document for teachers to ADD their favourite ideas or resources for using songs with your learners , so the sharing can continue… Sing for Your English resources & ideas shared at our PD on 15 March 2014 (and later) Also included are the lyrics for the songs created at the PD session by our creative members, and the text from Carmel & Sharon’s presentation slides. 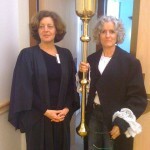 Sharon Duff and Carmel Davies are two long-term colleagues who teach with AMES in Victoria. After using songs successfully in the classroom, they decided to join forces under the name Urban Lyrebirds. Together they created some resource materials that feature songs with an Australian flavour. They were inspired to do this because they found that learners, especially at the lower levels, were finding it hard to remember dialogues and formulaic speech patterns. Songs seemed to aid in this process and they provided a fun way into teaching and learning. They also seemed to cross cultural divides. Sharon and Carmel introduced us to some of their methods: clapping rhythms, humming and guessing phrases, repeating words with particular phonemes and of course, breathing exercises. They even set us the task of quickly coming up with our own topic-based lyrics that we set to common and popular melodies. They showed us how versatile songs can be as we sampled some of the songs and accompanying exercises from their books, Sing with me! 1 & 2. Songs enable us to include the Arts in the curriculum and have been shown to improve outcomes. Songs help to teach the importance of rhythm, connected speech and intonation in English. By choosing songs or chants with particular phonemes, we can target pronunciation difficulties. Songs aid in the memory process (they have a habit of staying in your head), and they strengthen the learning process. Songs/chants/singing are a part of almost every culture. • Singing increases endorphins and can make learning fun. We can listen to and repeat a song many more times than we would a standard dialogue. Songs can contain language that is much closer to everyday speech. Singing involves several intelligences such as (including linguistic, inter & intra personal, body/kinesthetic, musical). Sharon and Carmel reflected on how important songs and singing are in most cultures, and on how in ours, we are growing reluctant to sing for fear that we might embarrass ourselves; the sing-alongs around the piano, so common in my growing years, seem to have disappeared from our culture. 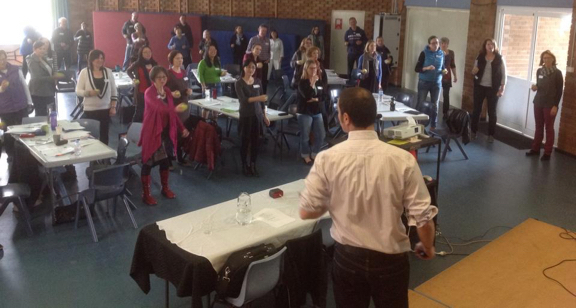 During the PD session, we were encouraged to reacquaint ourselves with the freedom and joy that singing can offer. Their books, Sing with me! 1 (for beginners and post beginners) & 2 (for intermediate students) do not just contain a set of songs to be learned and sung. They contain whole units of work that focus on topics within settlement themes such as health, jobs, daily activities, transport, shopping, climate change and love. Exercises follow each song they cover vocabulary grammar, pronunciation, reading & writing and conversation. Sharon and Carmel are in the process of publishing level 3 in the series (for advanced users). The session was energizing and inspiring, and I can’t wait to try a song or two with my class! Watch a video on Facebook from the session of Carmel and Sharon from Urban Lyrebirds leading ATESOL ACT teachers in Barista Blues. 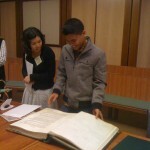 ATESOL ACT Annual General Meeting followed by Mapping Our World Exhibition at the National Library of Australia. Following the AGM proceedings, NLA Education Officer, Ben Pratten presented on: “How the Mapping Our World concepts can be incorporated into your planning and teaching using EALD perspectives“. Thank you so much to Ben from the NLA for a comprehensive look at not only the Mapping Exhibition, with special insights into the experiences our ESL students may bring to and also receive from this mind opening exhibition, but also the Treasures Gallery. He also showed us some of the fabulous online resources that you can use from the NLA site and the view from the fourth floor. Library cards free. That view. priceless! It was a wonderful way to finish our professional development for the year – Misty Adoniou presenting on her favourite topic; the English language and how to teach it (on this occasion the topic was Spelling). She teased us with the notion that many of our perceptions about English spelling are wrong, or at least flawed: English spelling is not crazy; being a good speller is not linked to some genetic code (which some have and others don’t); and that phonics and visual skills, though valuable, are perhaps the least important elements that make up a good speller. She exemplified this last point by highlighting that though we have only five vowels, those five vowels make 20 vowel sounds and have over 218 spelling patterns. So what can we use to help learners to spell well? And what do good spellers all have in common? Luckily, the answer lies in the fascinating make-up of the English language. It is a language that is morpho-phonemic (words are formed by their meanings as well as their sounds), and it is also a language which has a lengthy and continuing evolution (words reflect their origin and history). 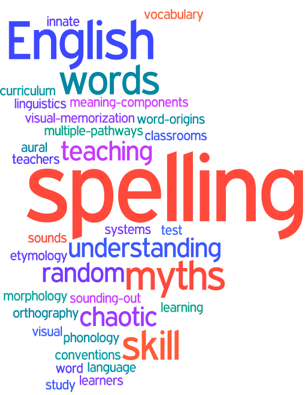 These two elements, if explicitly taught and embedded across the curriculum, can inform and engage learners and give them skills and strategies to attack spelling. Like Apel and Masterson propose, Misty believes that spelling should not be taught in stage-based programs (where for example, phonics needs to be mastered before learners are introduced to other facets of linguistic knowledge). Rather it should be delivered as a repertoire or suite of skills that can be delivered to children of all ages and at all levels of development. Furthermore, it should be taught using words-in-context within all subject areas and not, as is often the case, as a discrete and isolated part of the school day. children’s literature provides greater contextual diversity than a reading scheme. For me, good professional development gives new knowledge and greater insights, it reminds us of what we already know, and extends our awareness. It gives us ideas and/or strategies and makes us reflect on our own practice. Misty’s presentations always deliver in these areas and in yet another that for me holds the key to an excellent session – she has the ability to inspire and believe in the possibility of continual improvement for the benefit of our learners. If you missed the session, be sure to attend her next one, and always keep your eye on our website, newsletters and emails for notification of our PD offerings for next year. There are some great events happening, including our first on 15th March which will focus on using songs in the classroom. Apel, K., Masterson, J., & Hart, P. (2004). Integration of Language Components in Spelling. In E. Silliman & P. Wilkinson (Eds. ), Language and Literacy Learning in Schools. New York: Guildford Press. Nunes, T., Bryant, P., Hurry, J., & Pretzlik, U. (2006). Why morphemes are useful in primary school literacy. In I. o. Education (Ed. ), Teaching and Learning Research Programme (Vol. 4). London. At our annual dinner this year we had over 60 guests attend. 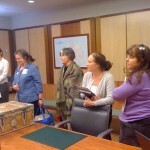 Many members of ATESOL ACT attended along with representatives from other community and interested groups including the Mon Society of Canberra, Companion House, schools sector, CIT, the University of Canberra and the Australian Education Union. The dinner was held in the Marquee at the Yacht Club at Yarralumla Bay. It proved to be a spectacular venue as guests, on arrival, enjoyed the panoramic views of a glorious sunset over the lake and the music of ‘Fir Croi’. The local duo, Mike Fitzgerald and Brian Duke, entertained us with a collection of Gaelic pieces throughout the evening. There was also a guest appearance by Alice Cottee who performed her single ‘Third World’ as a special contribution to the focus on refugees and to support the work that we do in that area. During the evening ATESOL ACT provided an award to a University student and collected donations for a teacher based program. The ATESOL award was presented to Florence Farley, kindly sponsored by the Asia Bookroom, for her studies and work in the area of TESOL. A collection was taken for donations to support provincial teachers in Cambodia to attend the CamTESOL annual conference held in Cambodia each year. Last year ATESOL ACT supported 8 teachers with this opportunity. This year, due to the continuing generosity of our members and guests, we are able to support 13 teachers to attend the CamTESOL conference in 2014.The speaker that enticed the members and guests to attend was Richard Towle. Richard Towle is the Regional Representative of the United Nations High Commissioner for Refugees, for Australia, New Zealand, Papua New Guinea and the Pacific. The topic of ‘Refugees’ has been much debated in recent times with a media overload on the plight of refugees coming to Australia. Richard provided an insight into the situation and the reasons why these people should continue to be supported by Australia. refugees knows the unique qualities that they bring with them and the positive contributions that they make to our community. The support that we provide as teachers and refugee advocates is invaluable and as Richard stated ‘a shared responsibility’. Richard was well received by our dinner guests and encouraged the continuing contact between ATESOL ACT and the UNHCR Regional Representatives based in the ACT. Thank you to the members and guests for making it such a great night and we look forward to seeing you at our 2014 annual dinner. On the 15 June, ATESOL presented its second professional development for the year: Everyday English – interactions for new arrivals. 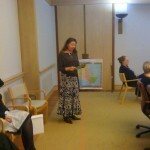 Theodora (Dora) Lafkas, from APELS (Australian Postgraduate English Language Services) was our guest presenter. Dora has developed strategies to address the primary settlement issues for ESL learners such as housing, health, access to services and transport through an interactive program of English activities. Many migrants and refugees are excluded from the workforce due to fossilisation in literacy, numeracy and language. Teachers are often faced with classes of disparate learners, both in terms of their language level, and in terms of their educational and cultural background. Context is at the heart of resource and lesson design (What experience/knowledge do the learners have in a given topic? How relevant is the topic/resource to our students’ lives?). Teachers need to really get to know their learners (their backgrounds, educational experiences, interests, needs, wants) and design activities around these areas. Scaffolding (and the teaching and learning cycle) is central to assisting learners to move from dependent to independent production of language. Provide students with as much opportunity as possible to communicate. Each lesson should contain as many of the following elements as possible or appropriate (speaking, pronunciation, listening, reading, handwriting, writing, and grammar) – an integrated approach. Teachers should reduce the pace at which new language and concepts are introduced – especially for students with no or low literacy in L1. Reduce the number of worksheets we give to low level learners. Discourage the use of bilingual dictionaries. With regards to pace, she recommended no more than one (at the most, two) worksheets per hour of face-to-face instruction, which is achievable by providing appropriate and extensive scaffolding. 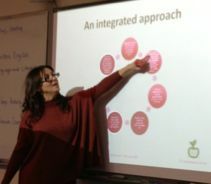 Though much of what Dora had to tell us would already be embedded in most ESL teachers’ practice, it was good to be reminded of these key principles, and it was difficult not to be taken with and inspired by Dora’s enthusiasm and commitment. 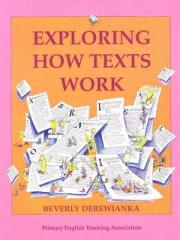 See our ESL Resources page for information on ordering Dora’s books. Please contact Lesley if you’d like to write a review of the book for our ESL Resources Reviews page. Are you intrigued, intimidated, interested or undecided about iPads and ESL/EALD learners? This session held on Wednesday 22nd May at Gungahlin Library Hub gave participants some insights into the world of apps and touchy screens via the NBN Hub and the ACT Library service. 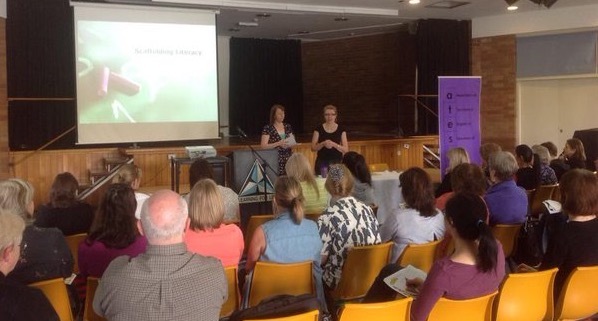 Several ATESOL ACT members presented a brief overview of iPads and showcased some of their favourite apps. Participants without their own iPad had the opportunity to try out some of these apps using the iPads at the Digital Hub. During the session we used to share comments and ideas, but unfortunately it is only a temporary page. 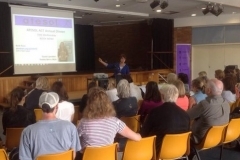 Following our AGM, Australian National Botanic Gardens (ANBG) Education Officer Sally Bowman provided information and guided teachers through the current programs and resources available at the ANBG. She outlined how the ANBG includes EALD perspectives in their programs, described some of the resources available to teachers, and explained how EALD teachers can use this local treasure to enhance our programs. Core Skills for Work: Josie Allocca from CIT shared the work being done currently on developing a framework of employability skills in a short presentation. Scaffolding Literacy: Misty Adoniou from the University of Canberra presented a 3 hour workshop to introduce us to an exciting, totally integrated approach to teaching literacy that uses quality literature to teach both reading and writing. Scaffolding Literacy comprises a sequence of lessons that provides a high challenge, high support environment where learners work with authentic literature, increasing engagement and enjoyment and giving real purpose to learning. Particular attention is paid to teaching knowledge about language (grammar) explicitly but in the context of well-written literature. 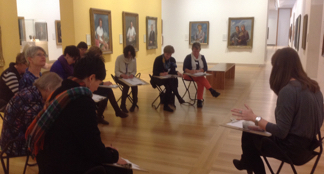 This workshop introduced participants to the Scaffolding Literacy pedagogy. Scaffolding Literacy is an exciting, totally integrated approach to teaching literacy that uses quality literature to teach both reading and writing. Our annual dinner saw around 30 members enjoy a warm evening with views over the lake, good company, delicious food and a charming guest speaker. Dr Jeremy Jones, a lecturer in TESOL at the University of Canberra and a long time friend of ATESOL ACT, entertained us with his talk entitled Think different: a talk about discourse, from Steve Jobs and K-pop to Tiger Woods and the Bra Boys. Jeremy gave us an overview of some topics considered by his undergrad students in their studies of discourse and culture, then focussed on three areas. An engaging discussion followed, fuelled by coffee and chocolates. Changing education paradigms (2010) illustrated by the wonderful RSA Animate team. Question tags are for babyboomers, aren’t they? 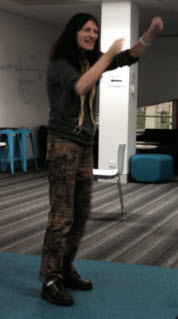 In the discussion about speaker affinity with audiences Jeremy had us reflecting on who uses sentence tags, didn’t he? And said that Gen Y no longer tend to use them, unless they are in Britain, innit? Or use other versions, right? One teacher there bemoaned her wasted lesson just that day! So it seems that if your students are under 50, yeah? And maybe use high rising tones? And have adopted other ways of gathering “listenership” (Do you know what I mean?) That you can skip that bit of the text book. Don’t you think!? At the dinner, we also raised funds to sponsor 5 Cambodian provincial teachers to attend CamTESOL 2013. Dinner guests gave generously, and the donations made on the evening were matched dollar for dollar from ATESOL ACT funds, so we are able to donate US$ 350 to pay for the registration of 5 Cambodian provinical teachers. Supporters are acknowledged in the Conference Handbook. ATESOL ACT will have another presence at CamTESOL 2013 as member Lesley Cioccarelli is conducting a workshop on: Connect with teachers around the world: How to use the internet to develop a personal learning network (PLN). She is co-presenting with Andrea Wade, a British teacher who is manager of the General English Programme at Eastern International University in Binh Duong, Vietnam. A truly international collaboration! 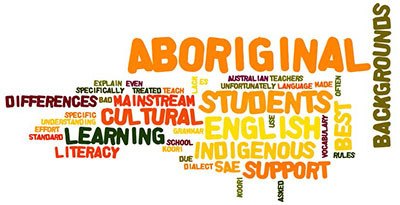 What support can we give Indigenous students who are learning Standard English in the classroom? How is culture reflected through these dialects of English? 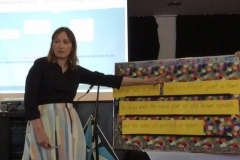 Unfortunately our presenters didn’t turn up, but ATESOL ACT’s very own Iwona Hawke did a fabulous presentation on cross-cultrual communication and shared a Koori IQ test. 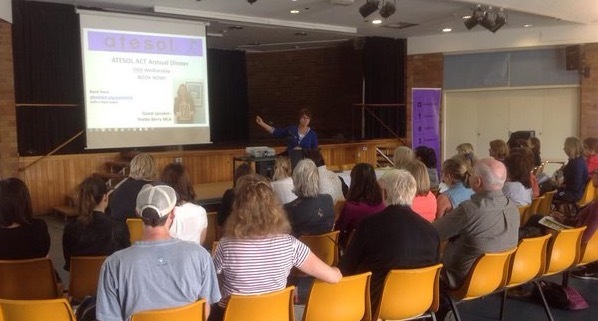 ATESOL ACT Vice President Sue Amundsen then led a fascinating discussion amongst participants on the topic of indigenous language, culture and more, highlighting the wonderful expertise we have in our small but vibrant community. What is it about intonation that we need to know so we can help our learners ? We understand that we can say: “He’s my brother.” or “Why don’t you?” with different intonations for totally different meanings (especially if we have anything to do with teenagers!) But what else do we need to know? This workshop held on Saturday 7th July 2012 guided us through the world of suprasegmental features of pronunciation, looked at some ways to help our students learn to hear and use intonation and contrastive stress to provide them with access to a greater range of English communication. We examined practical ways to integrate pronunciation into lessons within a broader framework of current research and latest practices. Presenter: Dr Marnie Reed Associate Professor, Program in Applied Linguistics, Graduate TESOL Program, Boston University, Boston, MA, USA. Dr Reed’s thirty-year career in the field includes classroom teaching, teacher training, and curriculum design both overseas and in the United States. The focus of her research has been on second language acquisition, and she has a particular interest in the relationship between speech production and perception. A particular area of interest is the role of auditory feedback in speech perception. 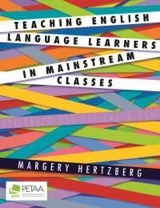 She has co-authored the books Sound Concepts: An Integrated Pronunciation Course (2005, McGraw-Hill) and its accompanying Teacher’s Manual (2006), and Goal-Driven Lesson Planning for Teaching English to Speakers of Other Languages (2010, University of Michigan Press), which incorporates her work on pronunciation instruction. Marnie Read has generously shared her resource packet from the PD with ATESOL ACT members. 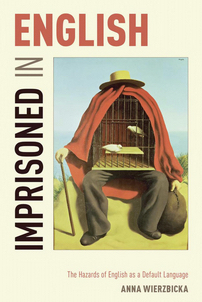 Teachers can feel like they work in isolation, but there is very powerful support for English language teachers. It can connect them; offer support, teaching ideas and resources; advocate for their students and their teaching roles and much more. Our speakers (see below) shared their knowledge of organisations that are national (ACTA); international (TESOL International and TESOL) and global (online networks). Misty Adoniou is a Senior Lecturer in Language, Literacy and TESL at the University of Canberra and currently serves on the Affiliate Leadership Council of TESOL International representing 100 Professional Associations for TESOL worldwide. 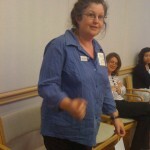 Lesley Cioccarelli teaches adult ESL at CIT and is an enthusiastic networker locally, nationally and globally. She is a member of ATESOL ACT, TESOL International and IATEFL, and many informal networks for English language teachers via Twitter, Facebook, Yahoo Groups, Ning, and more! This was was a great opportunity to hear from colleagues who have taught ESL/EFL overseas. 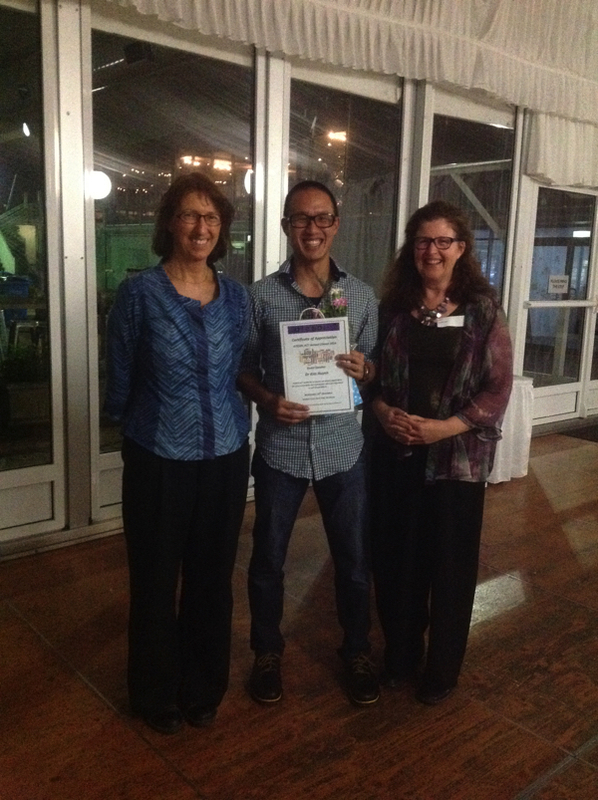 We also had our AGM including our ATESOL ACT TESL and TESOL Student Awards Ceremony. The Languages Education Mini-Conference offered local English, ESL and Languages teachers and other language education professionals the opportunity to hear some of the key presenters of ALAA-ALANZ 2011 conference speaking on languages education issues. 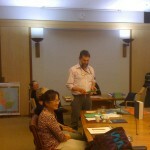 The mini-conference was held at The Australian National University (ANU). This event was sponsored jointly by ALAA-ALANZ 2011, the ATESOL ACT and the MLTA ACT. What’s your name? Such a simple question, yet the answer can be so complicated when cultural and linguistic differences are involved. In this panel discussion, we heard from Arabic, Indian, European and Asian background speakers. They talked about naming traditions and conventions, pronouncing names, choosing children’s names and changing names. Understanding naming conventions helps teachers better understand the needs of students facing form filling tasks and introductions of self, friends and family. Exploring other facets of ‘what’s in a name’ may develop deeper intercultural understanding. The event concluded with a session for sharing ideas for using names in a variety of lessons. One of the things shared was Lesley’s blogpost – What’s in a Name in an ESL class? – which includes a link to an interesting article on the about the practice English language learners choosing (or having chosen for them) an English name; lesson ideas and classroom activities and other links shared through comments on the blog. This session encouraged teachers to harness Web 2.0 tools to increase their PD opportunities 100-fold! Lesley shared her passion for networking with other English language teachers across the world to discuss ideas and issues, share lesson plans, solve problems and more. I encourage you all to join Twitter and start connecting and sharing with teachers all around the world. Please tweet using #ATESOLACT so we can connect and share. If you don’t feel confident to share more widely just yet, that’s fine, I’ll retweet to my PLN so anything you share will be spread to English language teachers across the world. If you have any questions, please send me a tweet @cioccas or add a comment to the blogpost mentioned above. 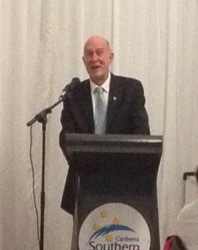 Our speaker for the evening was Robert Macklin. Rob is a well known and respected local writer. He is best known as the author of The Big Fella: the Rise and Rise of BHP Billiton (with Peter Thompson), which won the 2009 Blake Dawson Prize for Business Literature. He is also the biographer of former Prime Minister Kevin Rudd. Robert’s latest work is My Favourite Teacher, ‘in which famous and not-so-famous Australians write about the teachers who changed their minds, the teachers who changed the idea of the person they thought they could be, and the teachers who changed their lives’. It includes contributions from people such as Quentin Bryce, Kathy Lette, Mem Fox, Anh Do and an ACT ESL teacher, Marguerite Gloster. This session by Dr Beverly Derewianka looked at the challenges faced by ESL learners as they move along the mode continuum from spoken to written language and how a supportive curriculum can scaffold them into the dense, complex grammar of the written mode.Dr Beverly Derewianka is a much respected author, researcher, academic and contributor to the National Curriculum. We assembled at The Community Hub, 41 Templeton St, Cook (Old Cook Primary School, Cook), and were given a tour of the new premises for Companion House. 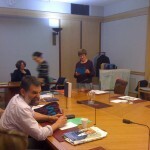 We then held the The ATESOL ACT Annual General Meeting and a new committee was elected. Bronwyn Rose retired as treasurer and her significant contribution to ATESOL ACT was acknowledged and a token of our appreciation presented to her. The TESL and TESOL students for 2010 were also announced. With extensive experience in this field, our presenter, Dr Beth Zielinski, helped us discover features of pronunciation and ways to help our students. Our stylish annual dinner is always a chance to catch up with old friends and mingle with members of the local ESL community. In 2010 it was a delightful three course affair held at the CIT Tourism and Hotel Management Centre Restaurant. Our speaker for the evening was Rachel Letts. Rachel has taught ESL and Communications, run a B&B, written a book about some of Canberra’s oldest residents and is in demand as a writer for environmental lobby groups. She gave us insight into the traps and joys of some of these endeavours. On Saturday, 18 September 2010, Assistant Professor Jakelin Troy lead a workshop on Indigenous language issues to help educators prepare for teaching the new Australian Curriculum. Jaky is a Ngarigu woman. Her PhD was in Linguistics at the ANU. 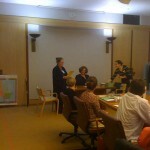 She teaches Indigenous studies, Indigenous education, visual art education and literacy at the University of Canberra. 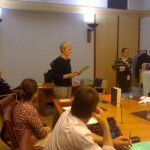 She is a co-writer of the Scoping Paper for Languages in the Australian Curriculum. She has worked on major government initiatives in Indigenous affairs including developing and writing the Native Title Act, managing Commonwealth land rights legislation, and managing national languages and broadcasting programs. Click here for Jaky’s powerpoint presentation for this event. ‘Some Consequences of Attributing “English” (i.e. standard English) to Aboriginal English Speakers’ by Ian G. Malcolm to download ‘Some Consequences of Attributing “English” (i.e. standard English) to Aboriginal English Speakers’ by Ian G. Malcolm. The session was held at the National Museum of Australia and included an introduction to the fantastic ‘Yiwarra Kuju – Canning Stock Route’ exhibition. We explored grammar in two sessions and were encouraged to understand what grammar is, and what else it can be; how to make it fun and engaging for us as well as our students. 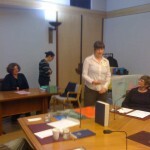 The first session, ‘Grammar Matters’, was run by Margaret McBride (AMEP @ CIT). She focused on an eclectic approach to grammar instruction. Various methods of teaching grammar were explored with the aim of providing motivation for both teacher and student. 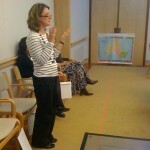 The second session, ‘You start, I’ll follow’, was presented by Dr Deborah Hill (UC TESOL). She focused on incorporating key ideas from language learning, such as ‘noticing’ and ‘risktaking’ into a model of grammar teaching. The proposed model works towards integrating two ideas about grammar: Grammar as the language we use, and Grammar as the metalanguage we use to talk about it. A significant organisational feature of the model is time before the class. Our get-together was Christmassy and relaxed. We sat, ate, drank and listened to our IT gurus showing us useful websites and other teaching magic. Others, who have discovered or implemented particularly successful or engaging activities, shared their discoveries. In the new year (2011) there will be a new password protected ‘Members Only’ resources section on this website’. The password will be made available after the AGM in early 2011. Click here to visit Lesley’s wonderful list of useful websites for ESL teachers. encourage mainstream teachers to collaborate with ESL specialist teachers. Thus building up ideas to develop useful feedback on improving this draft. 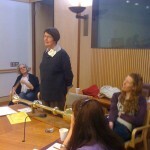 Penny Gilmour, Branch Secretary, Australian Education Union, ACT branch. 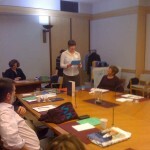 On Saturday 27 March 2010, Helen Moore led a lively discussion on the draft of Australia’s National Curriculum. Teachers came together to explore the mysteries of the National curriculum website and raise concerns to inform the Australian Council of TESOL Association’s submission on the draft. In concluding the session, it was decided that a follow up session would be organised. 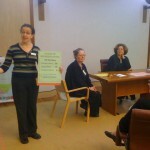 The 2010 ATESOL ACT AGM was held at Asia Bookroom on Wednesday 17th February. Retiring President Lona Thwaites presented her president’s report and treasurer’s report. 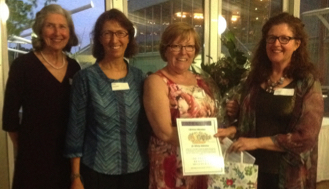 Our Vice President Marina Houston presented the ATESOL ACT Student Awards to Rowena Tayler-Henry and Anna James. 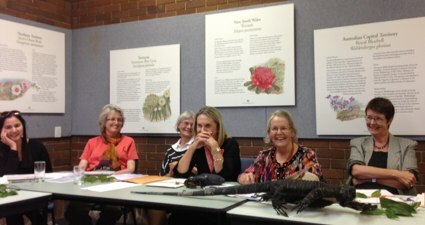 A new committee was elected, watch the Contact page for details of our new Committee. The AGM was followed by a discussion with Professor Anna Wierzbicka, co-editor of “Translating lives: Living with two languages and cultures”, and another of the contributors to the book, Dr Kyung Joo Yoon. They shared how immersion in two cultures affects one’s perspective of the world and relationship with other people. These accounts of childhood recollections, migrant experiences, journeys of self-discovery and feelings of being culturally torn or undefined, reveal the intrinsic links between language, culture and identity. Many thanks to Asia Bookroom for co-hosting our AGM and the book talk, and also for their generous sponsorship of our Student Awards. On Saturday 24th October 2009 a panel of speakers with experience from different cultures discussed the obstacles that make cultural transitions so difficult for newly arrived students. What is it we need to be aware of in order to help them settle in and feel they belong? How do we avoid misunderstandings? How do we create a climate in which they can get the best out of their learning experience and appreciate different perceptions? Companion House is a non profit community based organisation that works with people who have sought refuge in Australia from persecution, torture and war related trauma. Please visit the Companion House website for more information. 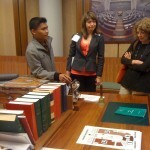 The Education Officers at Parliament House invited ACT TESOL members to come to a special meeting with them in the Parliament on Friday 18 September 2009. The 20+ members from primary and secondary schools, CIT and UC experienced the kind of educational activities offered in the Parliament to visiting educational groups. 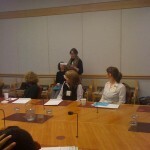 ATESOL ACT members role-played the introduction of a Bill to increase school hours to 9-5. While ‘MPs’ were given scripts to read some embellished their scripts in an effort to increase pay for hard working teachers (Hear, hear!). 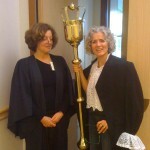 There were moments of tension when some unruly MPs were almost expelled by the Mace-wielding ‘Serjeant-at-Arms’. 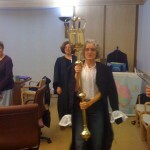 Fortunately Linda, the PEO Parliamentary Educator, was there to calm things down. 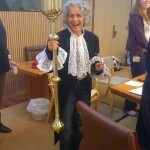 Several ‘Government MPs’ threatened to cross the floor when an ‘Independent MP’ amended the Bill to remove the pay-rise. 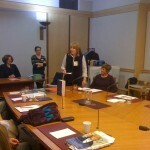 We all agreed that our ‘fair but bossy Speaker’ has a future in Parliament – she took to the role like a duck to water! See below for the photo album of the ATESOL ACT members in action! And, as we have come to expect from ATESOL ACT events, the afternoon tea was memorable. Thanks to Committee members Jakki Cashman (the chocolate zucchini cake & orange cakes) and Jill Schaefer (brownies and dried mango). For much of the twentieth century Australian English was regarded as a substandard version of British English. In his fascinating and recently published book, Speaking our language: the story of Australian English, Bruce Moore looks at the reasons for this attitude, and traces how Australian English became accepted in the final decades of the twentieth century. Dr Moore will talk about this very interesting process and share his perceptions of the future of Australian and other regional Englishes in the context of the globalisation of English. Dr Moore is currently putting the final touches to a new edition of the Australian National Dictionary and will also be able to reveal some of the new Australian words that will be included in the dictionary for the first time. Penny Ryder, Chapman Primary School, on blogging, podcasting, mini camcorders and video. See Penny’s blog Teaching Challenges to view her slideshow and to download her handout. 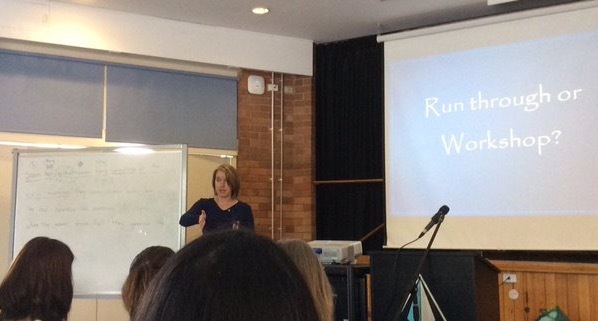 Robyn Hammond, Tuggeranong Primary Introductory English Centre, on creative uses of interactive whiteboards. 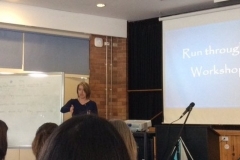 See this PDF document for a summary of Robyn’s presentation and all her links – Using an IWB within the Tuggeranong Primary Introductory English Centre. The image above created using http://www.wordle.net/ Wordle is a toy for generating “word clouds” from text that you provide. The clouds give greater prominence to words that appear more frequently in the source text. 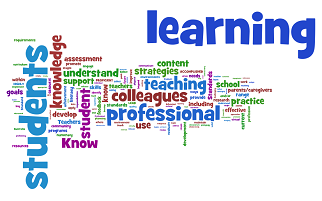 Look on the Web for ideas for using Wordle in education. Dr Chantal Crozet of ANU presented on: Intercultural language teaching aims to fully recognise and teach culture as part of language, not just as an adjunct to language. To achieve intercultural competence you have to understand your own as well as the culture of the target language. How to achieve this in the language class room was the focus of Dr Chantal Crozet’s presentation. 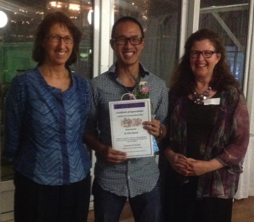 At this year’s ATESOL ACT AGM we awarded 2008’s two top students of TESOL and TESL at University of Canberra: Genevieve Hye Yeong Jamieson and Sue Honeyman. Following the AGM, Dr. Helen Moore spoke on a topic highly relevant to all of us: “Where to for ESL assessment in the new federal education agenda?” drawing on information presented at the National Symposium on Assessing English as a Second/Additional Language or Dialect in the Australian Context she co-coordinated in Sydney earlier this month. It reviewed assessment issues in the AMEP, ELICOS and school sectors. In this interactive presentation Kate Wilson drew from a holistic study of three reading classrooms in English for Academic Purposes. She suggested that scaffolding students’ development of reading practices requires high engagement as well as ‘high challenge and high support” (Hammond and Gibbons 2005). Using features from classrooms she has observed she showed how three teachers were able to create high engagement with text. Although these examples are taken from pre-tertiary settings, she made the presentation applicable to teachers at all levels. Scott Thornbury gave a fascinating and inspiring speech of the sort that goes to the heart and stays. It was just great seeing 30 plus people chatting heartily away, obviously enjoying themselves. At the end of August 2008 we organised a PD session consisting of a panel of teachers from the preschool, primary and adult sectors who presented their “Best Ever Lessons”. This proved a hit with attendees and is set to become a regular event on the ATESOL ACT calendar. In this 4-hour workshop Eulea Kiraly of Tuggeranong Arts Centre introduced participants to techniques for developing Digital Stories – creating storylines through a story circle, storyboarding, and using PhotoStory3 to add images, record anrration and add music to create your final ‘movie’. 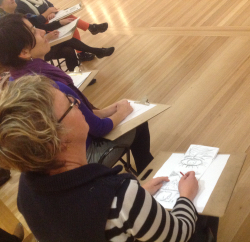 See the Tuggeranong Arts Centre website for information on the full workshops. The Center for Digital Storytelling website has more example stories and resources. Creating the Connections is a flexible resource kit aimed at developing students’ literacy and ICT skills as well as project planning and teamwork skills. The University of Houston’s College of Education has a site on the Educational Uses of Digital Storytelling which includes examples and links to software downloads. Geoffrey Millar (ADFA) – the art of inclusive teaching. Merran retired recently after many years at CIT. 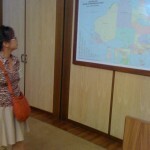 Her ESL experience includes teaching aboard the ships bringing new settlers to Australia. As well as being a highly regarded teacher at CIT, Merran worked in the Home Tutor Service, as a Student Advisor, and with refugees at Companion House. This event was held at the Asia Bookroom, Wednesday 30 May 2007. Edited by Mary Besemeres and Anna Wierzbicka, Translating Lives is an immensely moving collection of personal stories tracing the experiences of twelve people living in Australia who speak more than one language. Contributors including Kim Scott and Eva Sallis show how their experiences of language colour the way they relate to people and the way they see the world. Through their eyes, we learn how language, culture and identity are intrinsically linked. Illuminating and insightful, Translating Lives is an engrossing read for every Australian wanting to understand the complex culture we live in today. Coming to Canberra – Guest speaker Jorge Bagnini, ACT Multicultural Arts Officer, introduced and presented this short DVD which he produced as part of “Project 1955”, the culmination of research and interviews with migrants who were Canberra residents in 1955. The film depicts actors recounting the first-hand experiences of migrants from Italy, Holland, Austria, Poland, the UK, Malta and Greece. What is it about the word, ‘grammar’? It is a word that strikes panic into the hearts and minds of teachers widely regarded as expert in their knowledge about language. Long Service Leave Suggestion: A Tad of Teaching and a Couple of Conferences(in PDF format) By Margie Sainsbury, teacher and home tutor co-ordinator AMEP, CIT.